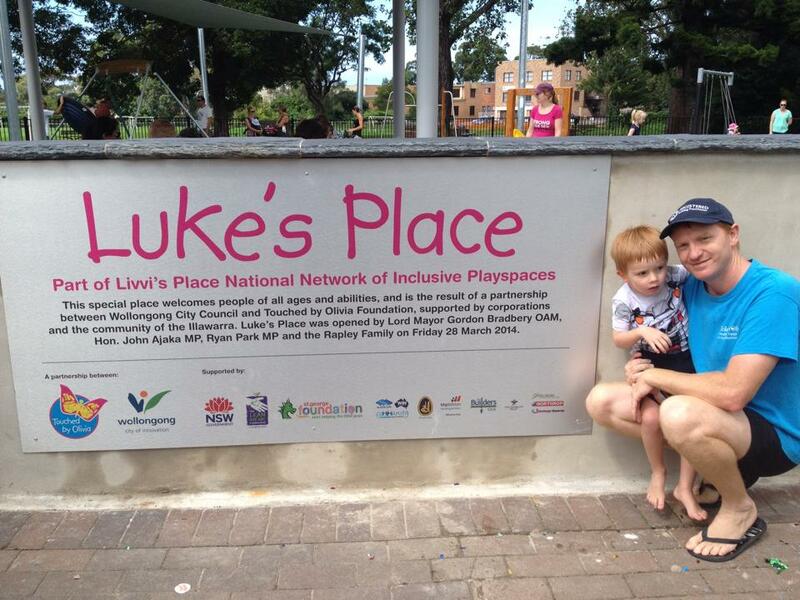 Inspecting the newly opened inclusive playspace, Sean was overwhelmed by the words of support from the community who helped realise this dream. 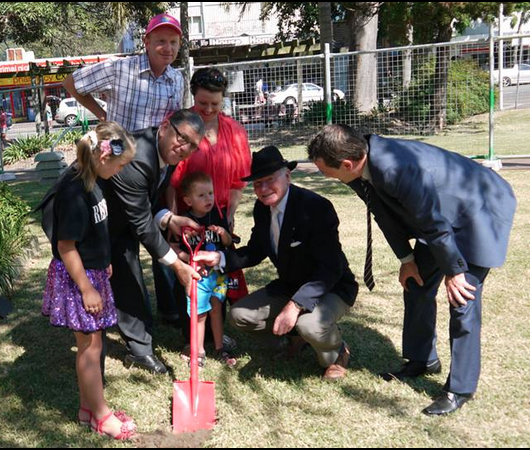 In partnership with Wollongong City Council, Touched by Olivia Foundation developed a Luke’s Place, found at Corrimal Memorial Park. At the Butterfly Ball in March 2013, it was announced that this project would be named “Luke’s Place” in honour of Sean and Rita’s son who inspired them to drive this project. Jade and Callum Webb and Rita and Luke Rapley during the fundraising campaign. To view some pictures from the opening, click here. 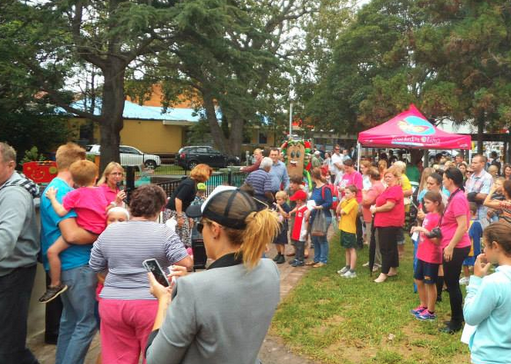 Listen to Bianca Dye from i98fm talk about the big opening. To watch footage, click on the images below.